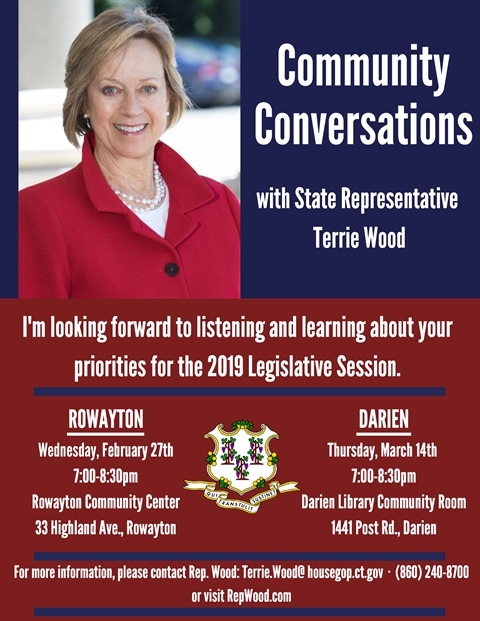 HARTFORD — State Representative Terrie Wood (R-141) invites her constituents to join her in Rowayton and Darien to discuss priorities for the 2019 Legislative Session, the status of the state budget, and important issues currently being debated at the Capitol. These events are free and open to the public. 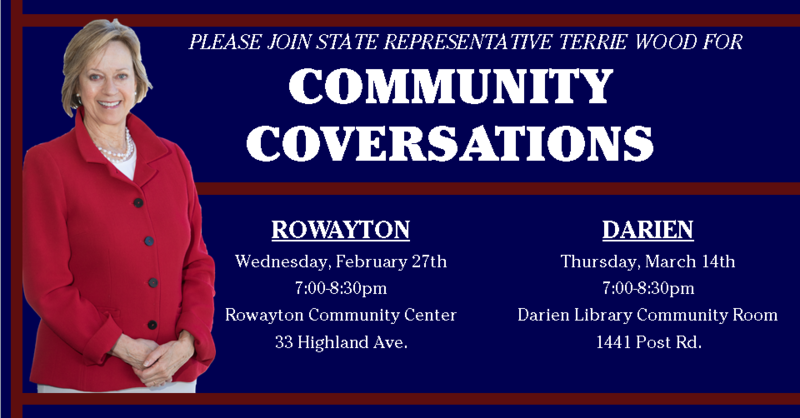 If you are unable to attend but would still like to connect with Rep. Wood, please do not hesitate to contact her at Terrie.Wood@housegop.ct.gov or (800) 842-1423. In the event that either of the meetings must be postponed, a notice will be posted on Rep. Wood’s website at www.repwood.com.